The pupil premium is a government initiative that targets extra money at pupils from deprived backgrounds. Research shows that pupils from deprived backgrounds underachieve compared to their non-deprived peers. The premium is provided to enable these pupils to be supported to reach their potential. The Government has used pupils entitled to free school meals (FSM), looked after children and service children as indicators of deprivation, and have provided a fixed amount of money for schools per pupil based on the number of pupils registered for FSM over a rolling six year period. This fixed amount of money is expected to increase every year for the course of this current Parliament. At Pakeman we will be using the indicator of those eligible for FSM as well as identified vulnerable groups as our target children to ‘close the gap’ regarding attainment. We have revised our assessment and monitoring systems to support improvement in the quality of teaching and interventions in order to maximise impact. Our team leader system enables us to be more responsive and frequent support such as team teaching, planning, one to one training and CPD. Pupil Premium spending for 2015-16 will be evaluated as soon as this years results have been validated. This (award) is wonderful testament to the excellent work that you and your staff have been doing to boost the attainment of disadvantaged pupils through your use of the Pupil Premium. Among other features, the judges were impressed by your school’s investment of time to examine research evidence to help you design your interventions, and by your well-developed evaluation and monitoring systems. Winning this award has been absolutely fantastic for us at Pakeman. It reflects and recognises the hard work and dedication of our amazing and dedicated staff who are determined to provide our children with the best possible education to improve their life chances. Over the last couple of years things have changed for the better at Pakeman, and it hasn’t been the money alone that has made the difference. But if Nick Clegg were to seek proof that one of his party’s flagship policies was having its intended impact, he needn’t look any further. 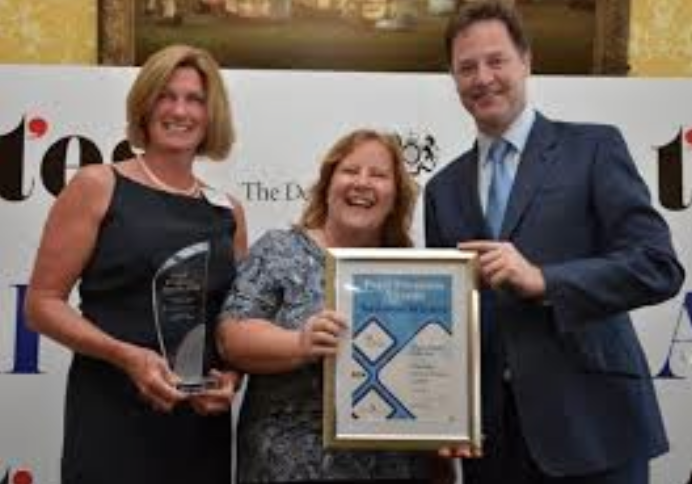 The judges of the 2013 Pupil Premium Awards certainly didn’t, awarding the school their ‘Primary School of the Year Award’ at the beginning of July in recognition of the effect its spending has had on children and parents. And there has been no shortage of spending, the 2012/2013 academic year saw Pakeman receive just shy of £140,000. This year, that figure has risen to £220,000, prompting Lynne and her team to return to the wish list as they expand their efforts to respond to the significant educational and social issues that pass through the gate every day. Of course, the reality of the Pupil Premium is that the more you have to spend, the more you’re likely to have to spend it on, and the real story at Pakeman is not the amounts involved but the holistic approach that is translating money into meaningful results: in purely academic terms, in 2012, 94 per cent of KS2 children at the school achieved a combined Level 4 in English and maths, and 100 per cent made two levels of progress. But reducing the equation to percentage points seems to rather under-value the work staff are doing to open children’s minds to the world around them, and support their parents to continue the good work at home. We have been providing support for other schools through visits to local authorities, courses and individual school reviews. Please contact the school office to see when the next dates for courses are. We are delighted that our reviews have been included in the latest guidance developed by the Teaching Schools Council working with Sir John Dunford, National Pupil Premium Champion. Please click here for more information in the “new guide”.